The Casals 230mm Angle Grinder has a powerful 2000w motor, suitable for semi-industrial and Industrial uses. The auxiliary handle can be attached to the left, right and top of the machine. This together with rotating rear handle, make the Casals 2000w Grinder extremely versatile and perfect for both left and right handed operation. 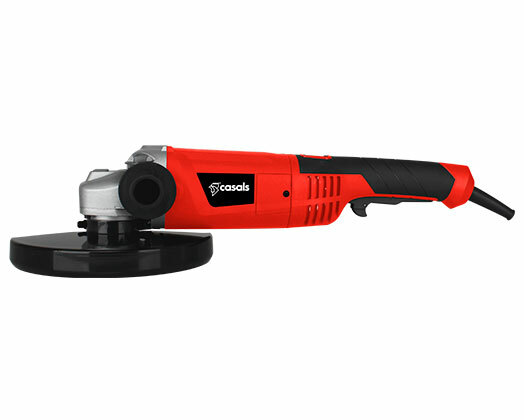 The Casals 230mm angle grinder has a lock-switch for easy spindle and blade changes. Safety switch with soft start feature. Auxiliary handle for left or right handed use. Lock knob for spindle and ease of blade change. Rotating rear handle for ease of use when grinding and cutting.